Spray 4- to 5-quart slow cooker with cooking spray. 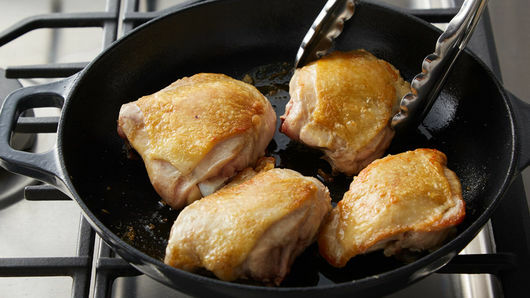 Heat nonstick 10-inch skillet over medium-high heat; season chicken thighs with salt. Add half of the chicken thighs in single layer to skillet, and cook 8 to 10 minutes or until brown on both sides; transfer to slow cooker. Repeat with remaining chicken thighs. Add vinegar, soy sauce, garlic, peppercorns and bay leaves to slow cooker. Cover and cook on Low heat setting 3 1/2 to 4 hours or until juice of chicken is clear when thickest part is cut to bone (at least 165°F). 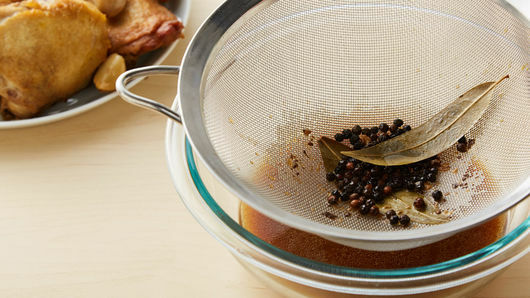 Before serving, remove chicken to serving platter; pour liquid from slow cooker through strainer, discarding peppercorns and bay leaves. 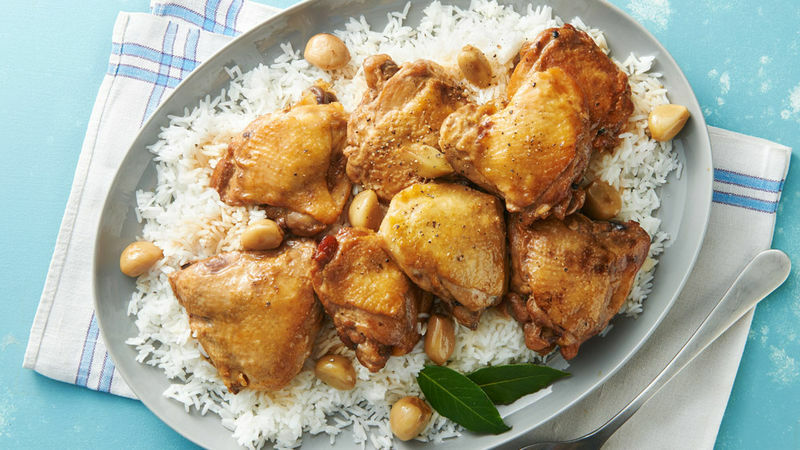 Serve chicken and garlic with cooked white rice and some of the strained sauce. Garlic cloves can be purchased already peeled at the grocery store, which can save you time. Check the produce refrigerated section. 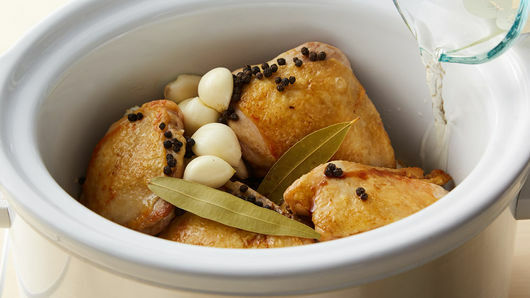 Bone-in chicken thighs guarantee tender, flavorful meat, especially when prepared in a slow cooker.